Your support to us all has been invaluable and in helping give A have one of the best starts we could and keeping me going when times have been hard especially with all the feeding issues. I will be forever grateful that we had hand expressed before A was born and were then in a position to keep it going and for the handy sling tips that revolutionised our early weeks in so many ways. You are amazing at what you do and anyone who has you as a doula is very lucky. A friend mentioned her doula, and with a bit of research I was lucky enough to come across Maddie, who helped me after the birth until the boys were 5 months old. Maddie would come once or twice a week and was an absolute godsend, exactly what I needed. 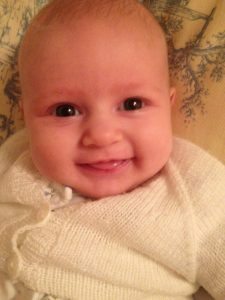 At the beginning she helped me persevere with breast feeding both the boys – something I couldn’t be more grateful for now they are nearly 6 months old, bouncing, happy, and exclusively breast fed the whole way through. She also mopped up a few tears (mine and the twins), took the boys out when I needed to sleep, listened when I wanted to talk about how it was all going and gave the best advice about parenting and motherhood I got from anyone – my own mother included! Her calm manner and wonderful mixture of practical and emotional support was perfectly judged and got me through the blur of the early months. I can’t recommend Maddie highly enough! R: I never got to say a proper thank you to you for holding my hand (literally as well) through the birth of A. Now we are close to 3 months from when A made his journey into our lives, however I remember his arrival like yesterday. The waters broke, I knew I could call you, the period like feeling began, I knew you were there close by, and when I called you, there you were at our doorstep. As soon as I saw you I realised everything will be fine, and you led me to the stars with your gentle voice and reassurance. When I look back at my birth preferences, that’s exactly how A came to this world, I wouldn’t have it any other way…Thanks for your kind and warm support. A: Maddie’s breastfeeding support ahead of the birth made a huge difference. Daytime care enabled me to catch up on sleep. Reassurance in times of anxiety – questions answered. Husband able to return to work with peace of mind. Caroline K: [Maddie] is a truely wonderful person. She is kind, genuine, trustworthy and gentle. She has been fantastic to our son and has become an integral part of our family. C: [Maddie] helped me move from being worried about the birth to looking forward to it. [She] increased my confidence in my ability to labour and have a VBAC. [She] put me in a positive frame of mind. [During the birth] I knew Maddie was there and this was reassuring. I felt ‘un-alone’ but alone to get on with labour how I wanted to. L: Maddie worked on relaxation techniques and was also there to reassure and to enforce the positive. She helped both me and my husband by doing the practical (drinks, breathing techniques etc). She also was thinking one step ahead each time and was able to get things set up when needed ie birth pool. 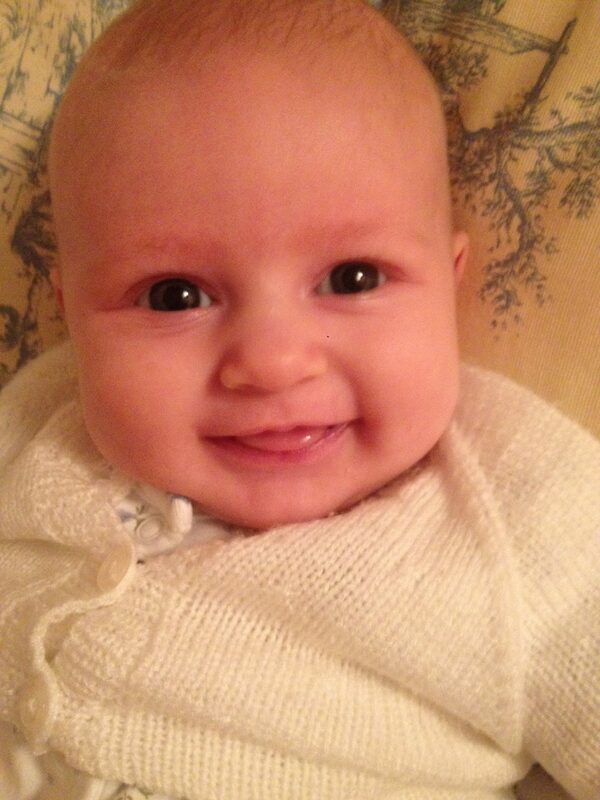 Sophie M: Maddie provided information which helped me make the right choices for the birth. She gave me support when I had difficult times during pregnancy. She gave me breastfeeding information and a practical demo! By giving me support, both physical and emotional during the birth she made me feel safe and allowed me to follow my instinct. Vicky: Maddie was my birth and post-natal doula. When I was pregnant it was great being able to discuss my thoughts and fears about the birth with her, she was very supportive, gave me lots of references and reading suggestions – she must have recognised my enjoyment of the written word! – and this gave me confidence both in my choices for labour and in her as a birth companion. The first few days after the birth were a blur, but Maddie held me together when I found the going tough and helped me so much, as I had no experience of looking after a small baby. In particular I will always be grateful that she identified my daughter’s tongue-tie at a very early stage, when it had gone unnoticed by several midwives, and thanks to her breastfeeding contacts it was treated the next day, averting certain breastfeeding misery. Maddie is such a lovely person and it was great having her around. I feel very thankful I made the decision to have a doula, and I was so lucky that it was Maddie. I am a father of three sons. The births of our first two sons were very traumatic. So I was in such a bad place in terms of my ability to help my wife with the delivery of our third son. Maddie and Sophie really helped my wife during the birth, and also gave me confidence to help my wife. Almost three months into motherhood now, your words and lessons have continued to ripple through my days and offer subtle reassurances…Breastfeeding has been an incredibly positive, bonding experience – and I owe a great deal of that to the fact that she wasn’t the only one between us who knew what she was doing. The knowledge from your session gave me confidence from day one and most importantly, gave me an inner tool kit to pull from during any tiny bumps in the road – recognising why certain things may happen and knowing that they weren’t necessarily problems has kept me feeling at ease, even during the fussy moments. Yours has been a gift that has continued to echo, and is one I am very grateful for. I have a book full of feedback, comments, thank you cards and photos of lots of lovely parents and babies. If you’re thinking of meeting up with me to see if you’d like me to be your doula, I’ll bring it with me so you can have a look.